The Choice Of A Princess For Her Palace, This Collection Exudes Graceful Elegance With The Pristine Splendor Of Crystal. 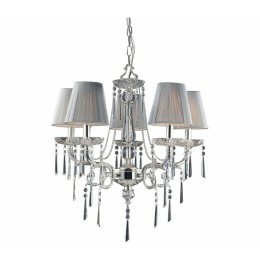 Silk String Shades And Iced Glass Add To The Palatial Ambiance That Radiates From This Collection. 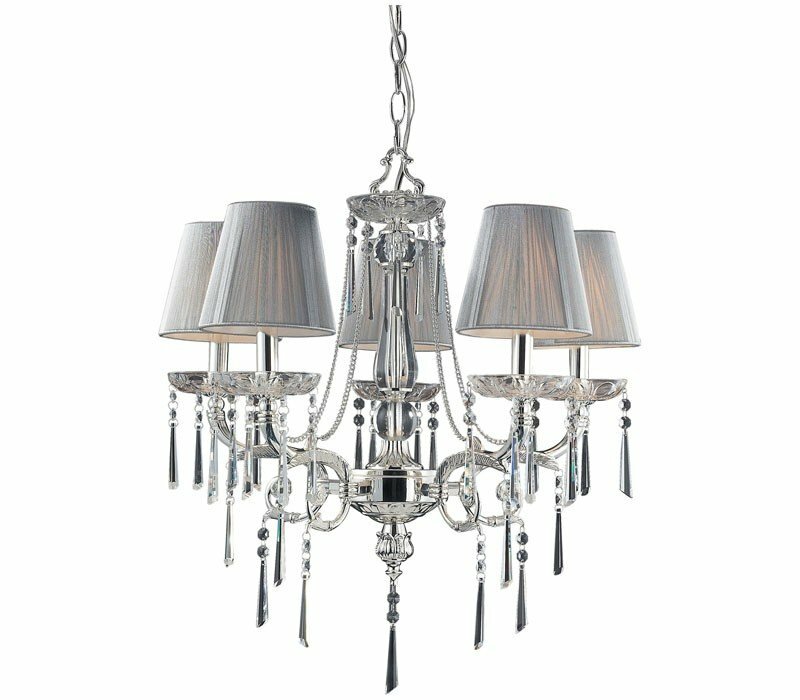 The ELK 2396/5 Princess collection Chandelier Lighting in Polished Silver uses Incandescent light output and brings Antique style. The total wattage is 300 and the voltage is 120 volts. The ELK Lighting 2396/5 requires 5 bulbs (not included). Additional Information: Shade-Silk String Shades.